The Aqua Smoke zipper case is a compact and stylish way to organize and transport all of your Aqua Smoke E-Cig devices. Large enough to fit several batteries, tanks, and accessories - this case also features a netting on one side to store your USB charger. 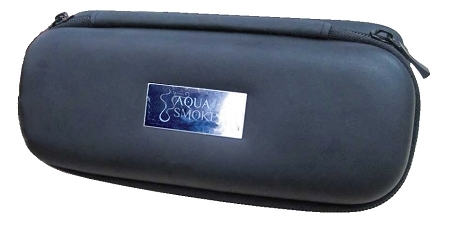 Keep your Aqua Smoke devices safe and secure in this beautiful Aqua Smoke case.